In Tune's specially curated mix of eclectic music, featuring favourites alongside rare gems. 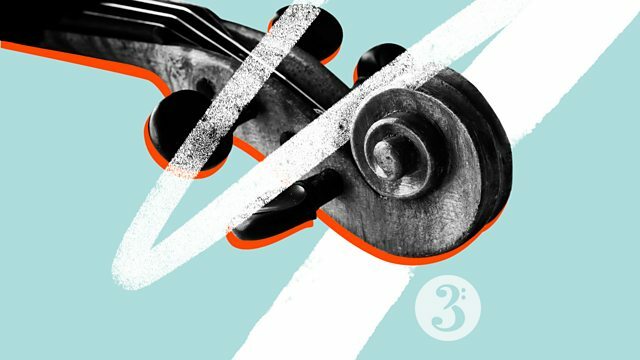 Tonight's Mixtape features music from Poulenc's Penitential Motets, Ginastera's one-act ballet evocation of his homeland, and Ferran Savall's ode to sailors. Conductor: Bernard Haitink. Orchestra: London Symphony Orchestra. Orchestra: Sveriges Radios Symfoniorkester. Conductor: Esa‐Pekka Salonen. Sibelius: Finlandia; Valse Triste; Grieg: Sigurd Jorsalfar; Salonen. Performer: Sarah Chang. Performer: Jonathan Feldman. Tchaikovsky: Violin Concerto etc. : Chang/LSO/Davis. Saint-Saens: The complete etudes: Piers Lane. Performer: Bob Becker. Performer: James Preiss. Steve Reich: Proverb / Nagoya Marimbas / City Life. Conductor: Theodore Kuchar. Orchestra: Orquesta Sinfónica de Venezuela. Latin American Classics: Orquesta Sinfonica de Venezuela/Kuchar.